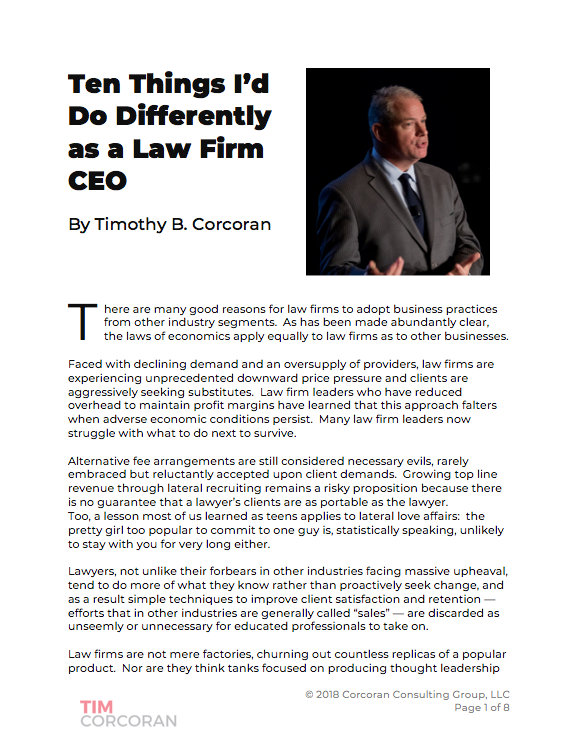 Law firm partners should not say to clients, "We don't know what this might cost you, because every matter is different," unless it's literally the first time the firm has encountered the issue. Similarly, in-house counsel should not say to outside counsel, "We don't know what this should cost us, we're expecting you to tell us," unless this is literally the first time the business has encountered this issue. Whether buying or selling, pricing legal work requires both parties to do better.